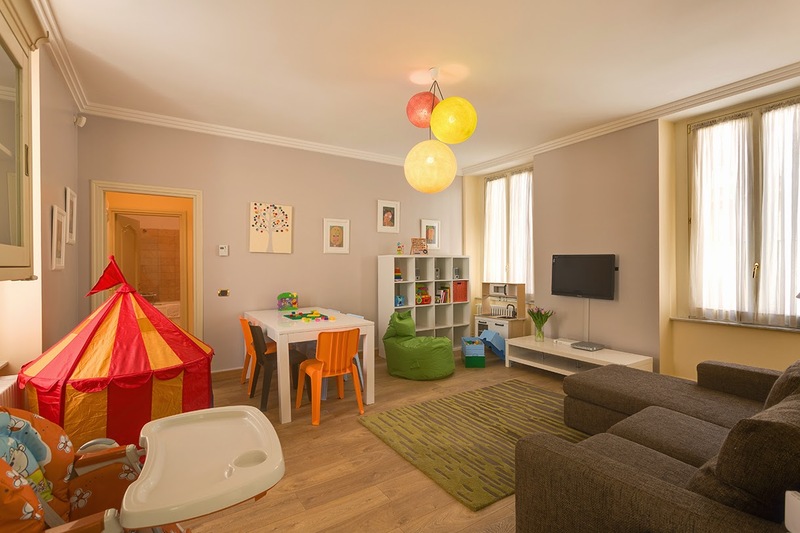 Family Travel Blog : The best family vacation rental in Rome! 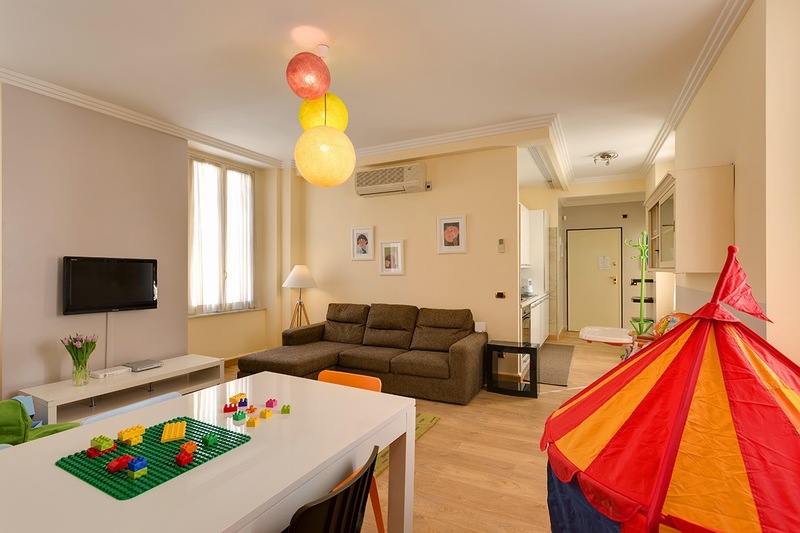 The best family vacation rental in Rome! When I’m with my friends I hear them say all the time, “We can’t do a lot of travelling right now, it’s such a hassle with small kids!” I love travelling and don’t want to ever have to give it up but I’ve come to realize just how different it is to do with kids. So naturally when I do plan a trip I keep in mind locations and activities to keep them interested and entertained. On our last family vacation we decided on Rome, the Eternal City. Originally my plan was to fill our days visiting monuments and churches that I didn’t get to see the last time I was there, but I knew that full days of sightseeing wouldn’t thrill the kids as much as it would for me. So I set out focused on planning our vacation strategically adding activities that would be attractive and energy boosting for my 3 and 7 year olds, which above all, that means a special place to stay that’ll make us feel comfortable, relaxed, and entertained, both big and small alike. Usually I like to rent vacation apartments because they provide the most bang for our buck while also providing a local experience, more space and flexibility. I also love the cost savings that become available with apartments through the use of a kitchen. Eating out for every meal gets expensive fast and honestly I just find it to be too much for the kids and myself some days. While looking for something really unique I stumbled upon the Dolce Family Apartment. Booking your lodging in a foreign country always comes with a fair share of anxiety, but now I can legitimately say that we really hit the jackpot! First of all, the area is perfect. It’s located right behind the Spanish Steps (read as: plenty of good shopping for me!) and close to the metro A. Vital when in a city like Rome where you do not need a car. That being said I have found that a short walk to the metro is vital, particularly with kids! While the apartment is right in the center of Rome, it’s set aside enough that the street is quiet and most importantly, safe. Even though Rome isn’t known as a particularly dangerous place, it’s still a city so I always make safety a priority when travelling with my family. The building is elegant and the interior is modern; it’s evident that it was renovated recently. There are two beautiful marble columns at the entrance that help you spot it when returning from a long day sightseeing, complete with a smiling doorman who’s there most days until late afternoon. The apartment is on the 2nd floor but there’s an elevator. There are a few steps before you reach the elevator, but just 5 or so which was manageable with the stroller. When we arrived we were greeted at the entrance by one of the rental company’s welcomers. A nice girl who welcomed us warmly and offered all sorts of tips and advice to make the most of our Roman vacation. When we arrived at the apartment my kids were ecstatic! They immediately ran into the room with the bunk beds, climbed to the top bunk and took the slide down. We found all sorts of games and toys, books in English, even a Wii! There was a small circus tent, an adorable and equipped play kitchen, and a tall chalk wall to permit kids who like to draw all over things a proper place to do so. Each evening after spending the day visiting the beautiful sites in Rome they couldn’t wait to come back home! 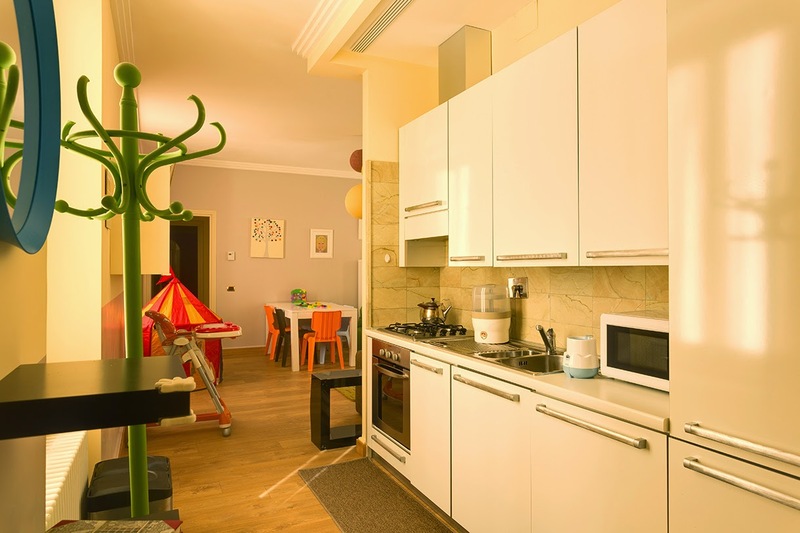 The apartment even has a high chair, stroller, bottle warmer and sterilizer and everything that you need for bringing your baby on vacation, something I really appreciated especially when packing. We really couldn’t have asked for more for an apartment. Fun for the kids but a peaceful respite for the adults, too. We slept in a room that was tastefully decorated so that we didn’t necessarily feel like we were in a kids only world. Plus there’s A/C, free wi-fi and a Jacuzzi tub! We had everything we’d hoped for all under one roof! Of course Rome didn’t disappoint; it’s still the beautiful, enchanting, chaotic city that I recall and love. But this time with my kids was all the more memorable as a family vacation that none of us will ever forget.